Volkswagen ultraluxury brand Bentley has chosen Kevin Rose, currently executive vice president for sales at FAW-VW in China, to head its sales and marketing operations. Rose will start his new job on June 1. 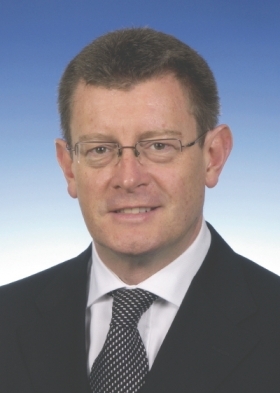 Rose will succeed Alasdair Stewart, who will take charge of VW's Skoda brand in the UK. Rose, 55, joined the VW Group in 1978 and has held various senior management posts including head of Audi and Skoda in the UK and head of sales for the VW brand in the United States. Since July 2009, Rose has been executive vice president at FAW-VW in China. Stewart joined VW Group in 1998 as CEO of Bentley North America. Since then, he has occupied various executive positions at VW, including chief of marketing strategy for the group's luxury brands and head of sales and marketing at Bugatti. Rose moves to UK from China. Stewart became board member for sales and marketing at Bentley in February 2010. Stephan Woellenstein will succeed Rose as head of FAW-VW. Woellenstein, 48, is currently head of sales strategy and business development at VW headquarters in Wolfsburg.